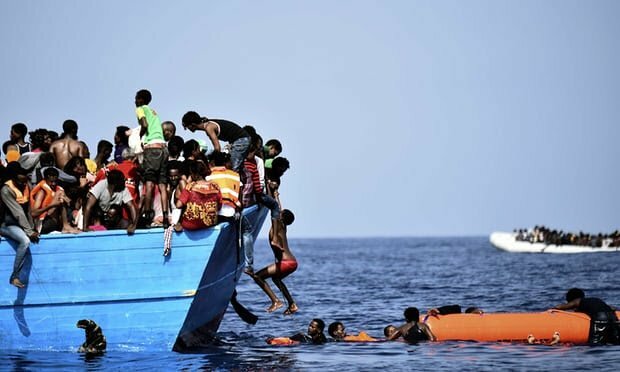 A viral video campaign using the testimonies of migrants in Libya to discourage others from making the perilous journey to the north African country – and then on to Europe – is to be launched by the Home Office as part of official attempts to tackle migration from “source” countries. Vox pop interviews with migrants from countries including Eritrea, Nigeria and Sudan will be filmed in Libya before the material is used at events in east and west Africa and distributed online. The UK’s foray into using this tactic follows the example of Denmark, which placed advertisements in Lebanese newspapers aimed at deterring potential migrants, and Germany, which paid for billboards in Afghanistan with a similar message. “The information just does not filter through because people decide on the basis of what they hear from family and friends – people they trust – rather than foreign governments,” said Jessica Hagen-Zanker, research fellow for migration at the Overseas Development Institute. She said that a better approach would be to make the journeys safer and open up paths for legal migration. Home Office research suggests that migrants are not prepared for the risks they will face on the journey from their country of origin and that highlighting the reality could encourage many potential migrants to reconsider their decision. More than 180,000 people attempted the crossing to Europe from the Libyan coast in 2016, representing 50% of all attempted crossings. Although numbers fell back to 120,000 in 2017 there has been a sharp rise in numbers since the new year. More than 22,500 migrants have reportedly died or disappeared globally since 2014 – more than half of them perishing while attempting to cross the Mediterranean. The route accounted for 90% of all migration-related deaths in the region in 2016. A qui s'adresse cette campagne de dissuasion. Aux candidats réfugiés de l'Afrique subsaharienne ou à l'électeur britannique qu'elle entend rassurer quand à ses crainte de voir l'immigration submerger le Royaume Uni? Il ne m'étonnerait pas que la NVA reprenne cette idée à son compte.